Kingdoms are always interesting for thieves. They know that there is no poor king or queen and know where to go 'for a ride'. But if a king or a queen don't have the right people around them, those who will keep them safe, those who will make them feel secure, they are worth nothing. But, very often, it takes time so that they realize if they really have the best people around. It is not a rare situation when the closest people are those who are the most dangerous and betray them. It is not the case in today's game, we are assuring you. One queen is in danger and needs help from her collaborators. And they are actually the best protectors that she could imagine having around. 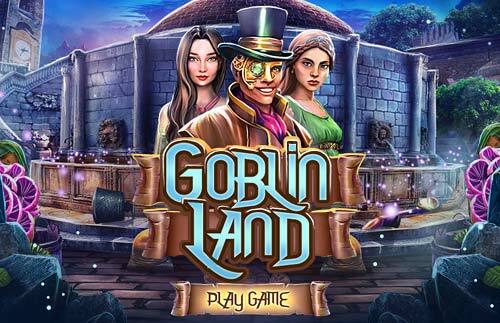 One-eyed Aaron, princess Maria and the sorcerer Megan arrive in the Goblin Land. Beside Goblins, the access is forbidden for everybody. They are here in a secret mission so they will return the worthy things that the Queen owns and the goblins have stolen. Their request may begin. Put yourself in a adventurous mood and help this lonely Queen return what's hers. Enjoy playing interesting Free Hidden Object Games. Search different items at the screen using given names and object descriptions.